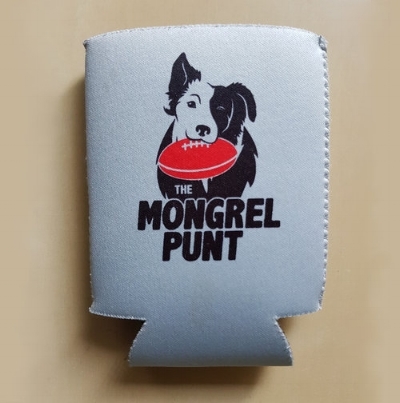 Mongrel Of The Year Votes - Round 3 — The Mongrel Punt Become a Patron! Much has been made, and rightly so, about Geelong’s youth, and their role in the team’s undefeated start to the season. However, more critical has been the return of Dangerfield to his 2016-17 form. He was outstanding against his former side, and his goal from the centre square was him at his bullocking best. Brad Crouch gets two votes for the second week in a row, continuing his excellent return from a year off, and his ability to hit the scoreboard has been a feature, with four goals in three games. Dahlhaus’ pressure has been a key to Geelong’s tackle-centred game plan, with 24 in three weeks, and three tackles inside 50 on Thursday night. Matt Crouch and Rory Sloane were maybe unlucky to miss votes for the Crows, while Tim Kelly would likely have been in here had he not gone off with a leg injury in the last. Somehow Darcy Parish wasn't considered to be in Essendon’s best 22 for Round One, which is truly mind-boggling. Outstanding in midfield in a side that was at times wasteful, and with 14 contested touches out of 24, and 11 score involvements, it’s not hard to understand why he’s top of the tree in terms of votes from Friday night. Zaharakis may have struggled so far this season to settle into a role with the addition of Dylan Shiel, but was excellent on Friday, with 31 touches (16 contested). Baguley, meanwhile, didn’t have a lot of the ball, but swung the game in his side’s favour after being moved forward at half time, with five score involvements from 10 touches. Dyson Heppell unlucky to miss out here, after providing an outstanding captain’s knock. Josh Kennedy continues to play a lone hand in midfield for his side, with 31 touches (13 contested), seven clearances, seven inside 50’s and a goal. Receives three votes for the second week in a row, in spite of his ageing body. Zak Jones had 31 touches as well, in a career best showing, and added some much needed hardness to this Sydney side after an average start to the season. Isaac Heeney continues his rise as a star of the competition, and will likely be the face of this side when Buddy Franklin eventually retires. Was fantastic against the Blues, showing off each facet of his game and finishing with four goals. As with this side in the first week, you could almost have thrown a dart at the GWS team list and found players worthy of votes. However, these three players were absolutely outstanding on the day, and could go a long way in driving this side to September action. I’ve seen it said that Cameron now has one hand on the Coleman Medal for this season, and while it’s only Round three it’s hard to imagine a key forward having a better day out than he did on Saturday, with 7.5 and 30 touches. Could have finished with a double figure bag. Jeremy Finlayson was clearly outshone, despite kicking 5.1 against a Richmond side that was very obviously undermanned down back. Whitfield continues his growth, after receiving an All Australian jumper last year, finishing with more than 30 touches for the third time this season, with a total of 42 at 76% efficiency. Lachie Neale continues to love life as a Lion, with 43 touches for the second week in a row, including a mammoth 16 clearances and 25 contested possessions to get his side over the line and continue their unbeaten start to the season. Was one of three players to be judged best on ground two weeks in a row, and is now a genuine Brownlow chance. As for Connor Rozee, it’s hard to believe Saturday night was just his third game of football. Looks assured and has a good goal sense for a player as young as him, and now deserves to firm more strongly into Rising Star contention. Meanwhile, at the other end of the ground Eric Hipwood had a breakout game, with 6.1 from 10 marks (three contested). If he keeps this kind of form up Brisbane will trouble plenty of good sides, especially at the Gabba. Boooooo! In his first game since the infamous Derby last season, Andrew Gaff reminded the footballing world of just how talented he is, with 35 touches at 71%. He shapes as the driving force behind West Coast’s premiership defence, given his hunger after the events of last September. Lewis Jetta may not have had plenty of the ball, but he was equal parts creative and deadly when he did, running at 94% and cutting the game open by foot. Howe was a vital part of Collingwood’s backline, both offensively, with 21 touches at 91% including seven rebounds from 50, and defensively, keeping Jack Darling to seven touches and having nine intercept possessions himself. A fit Tom Liberatore, clearly, makes a big difference to this Bulldogs lineup. 30 touches, 22 contested, at 80% and with 12 clearances and nine tackles is a tremendous midfield display, highlighting his work offensively and defensively. Unfortunately for him, his side was outplayed on Sunday, thanks in no small part to the exceptionally talented Jack Martin. Martin has kicked 2.8 this season, and it’s a scary thought to ponder that if he gets his goal kicking right he could well become the most influential player in the league. Jack Bowes adds an element of hard headedness and leadership to this inexperienced, yet willing, Gold Coast side, and will become one of their stars in the not too distant future. It’s neither a particularly original nor insightful comment to suggest that with the absence of Tom Mitchell, Jaeger O’Meara needed to step up this season to give the Hawks any chance of September action. Well, step up he has, playing arguably his best game in brown and gold to get his team home from behind. His offensive numbers make for good reading, but it’s the 12 tackles that are perhaps most impressive, in a week where questions had been raised over the defensive work of the upper echelon of midfield talent across the league. I imagine deciding between Higgins and Cunnington for North Melbourne’s best on would have been like splitting hairs, with both players influential, but the former gets the nod, with 36 touches at 77%, a goal and nine score involvements. Finally, Ben McEvoy continues to prove he’s underrated among the competition’s ruckmen, comfortably winning the battle around the ground against Todd Goldstein and ably stepping up for the absent Jarryd Roughead up forward, booting 2.1. Fremantle would have lost this game if not for Luke Ryan. He was absolutely outstanding, like a wall down back, resolutely repelling plenty of St Kilda attacks. He finished with 32 touches at 90%, with nine rebound 50’s and 13 marks. Jack Billings continues his solid start to the season, with 32 touches and two goals, as he continues to bloom into the player St Kilda supporters had long hoped he would become. He could have won his side the game with a bit more help from the other midfielders. Finally, Michael Walters continues to fly under the radar east of the Nullarbor, playing an outstanding hand with 27 touches at 92% and two goals, stepping up particularly once Fyfe went down. Despite my continued assertions in the introductions to these pieces, the three players leading the vote tally here are all likely Brownlow chances come season’s end. Each has polled three votes in the last two weeks, and is integral to their side’s hopes of September action. The returning Liberatore and Crouch have clearly had a big impact on their respective sides while, as mentioned, Jack Billings continues to grow as one of St Kilda’s classier players. Connor Rozee is the surprise packet, having a tremendous amount of influence for a veteran of all of three games. Lycett, Kelly and Sexton maintain their positions from last week. Newer PostThe Best Taggers In The Game - Who Is #1?